Cosette Sinclair, pregnant with an illegal child, must choose between saving her son or saving the world from an impending alien invasion. Moshie trains for the day he’ll rule an ancient alien civilization. But a voice from within calls him to stand for the most undeserving. Save the world, or save themselves. Both have one chance to get it right. Cosette Sinclair, pregnant with an illegal second child, makes a discovery that will change the course of humanity. While on assignment to find a habitable planet for mankind’s first colony, she witnesses a tear in space—a gateway for a devastating alien invasion. Now she’s faced with the heart-wrenching choice between saving her unborn child and saving the world. Moshie lives in a culture where competition is prized above all else. His mother raises him to dominate every creature he encounters. As Moshie trains for the day when he will rule an ancient alien civilization, a whisper in the young man’s mind calls him to something greater. Can he put aside a lifetime of striving for power, and heed the cry to save the most undeserving? 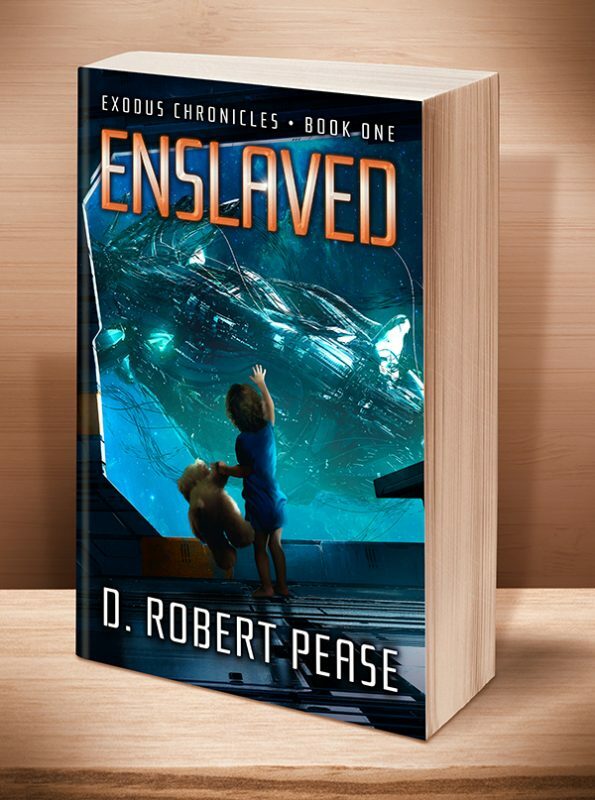 Enslaved is the first book in the “Exodus Chronicles,” a captivating saga of humanity’s final struggle. 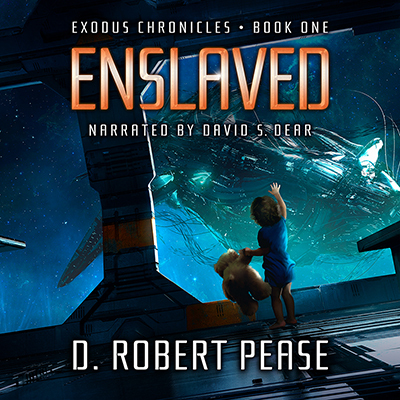 If you like action-packed adventure, complex characters, and alien worlds, then you’ll love D. Robert Pease’s imaginative interstellar homage to the Book of Exodus. Watch for the audiobook, for which production is complete, to release REAL SOON. Please stay tuned. "A fantastic book that keeps you coming back and prevents you from getting things done around the house. A truly good book from a great author who is rapidly becoming one of my all time FAVORITES!" "Get ready for a great adventure: I finished this book a little while ago and I am floored. You have to think outside of the box for this one and out of this world. There are a lot of twists and turns so get strapped in. Just when I thought I figured something out-I was blindsided and thrown for a loop. I hope there is another book after this one--because I did not want this one to end." "Action packed, yet touching. This story dives into what it is that makes humans human. A great story that keeps you guessing to the end. Loved it!" "Wow !!! I very rarely give 5 stars for a book, as I always think it's a rare find, but in this instance the originality alone deserves them.... There are so many OMG !! moments that take you completely by surprise. This is an extremely powerful story, and will make you wonder what if ?" This entry was posted	on Sunday, October 1st, 2017 at 3:07 am	and is filed under . You can follow any responses to this entry through the RSS 2.0 feed. Both comments and pings are currently closed.